This page gives details of books and articles I have written on various aspects of this subject, in some cases jointly with others. Liability for Damage to the Marine Environment (Lloyd’s of London Press, 1993). This is a compilation I edited of papers given at a CMI Colloquium in Genoa in 1992. These included a discussion paper on environmental damage assessment which I gave on behalf of a CMI Working Group on this subject, of which I was a member. Most of this material is now of only historical interest. 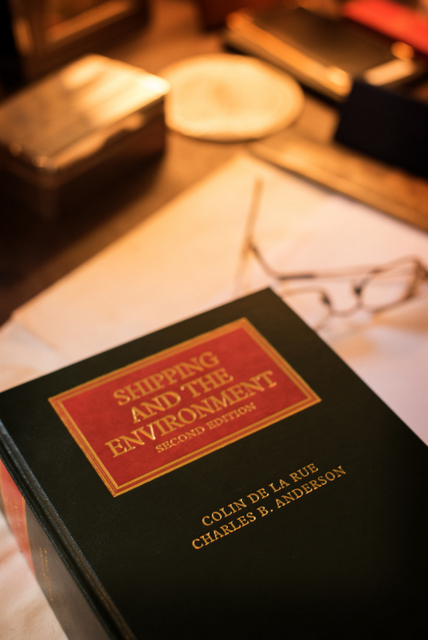 Written with Charles B. Anderson of New York, Shipping and the Environment is a detailed text on international and US domestic law and practice in this field. The first edition was published in 1998 and the current enlarged second edition in 2009. With over 1,100 pages of text and some 6,500 footnotes it is mainly a reference work for practitioners. However it is also written with the needs in mind of an international readership including students and others who are new to the subject. It therefore aims to give a user-friendly account of how the law operates in practice, drawing extensively on personal experience. 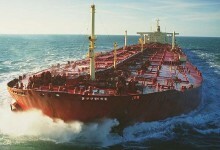 This article, published in 1996 in the International Journal of Shipping Law, was prompted by the decision of the tanker and oil industries to terminate the voluntary industry schemes TOVALOP and CRISTAL with effect from February 1997. The article reviews the background to the schemes and the part they played in the development of international law. As solicitor to Cristal Ltd I continued to represent it until its dissolution in 2008, after run-off cases had been completed. Environmental salvage – Plus ça change …? This is a note written in September 2016 on the subject of the powers of Contracting States in their territory and territorial sea (‘TTS’) when they exercise the option under the Nairobi Wreck Removal Convention 2007 to extend the Convention area inwards to include the TTS. This extract from a seminar paper I gave in 2014 reviews the scope for charterers and cargo owners to be held liable for pollution, either directly to claimants or by way of recourse to the shipowner. It is an abridged version of Chapter 15 of Shipping and the Environment. The Ocean Victory decision has since been reversed on appeal but the issues involved remain a potential concern for charterers. The following is an extract from a seminar paper I gave in 2013 in which I discussed a new charterparty clause dealing with allocation between shipowners and charterers of the risk of penalties and fines for pollution. I contributed to the drafting of the clause, the text of which is appended. The following are extracts from a seminar paper I gave in 2013. The first deals with issues which had arisen in relation to certification of insurance, particularly under the Bunkers Convention. The second discusses issues arising from European sanctions affecting voyages to Iran and insurance of the ships involved. These were problematic for shipowners outside the EU, with charterparty commitments to trade to Iran, as they would in practice not be able to enjoy their normal levels of cover against liability risks, notably for pollution. This extract from a paper I gave in 2014 discusses the implications of different legal proceedings in the Prestige incident, notably in relation to attempts to bring unlimited direct actions against the ship’s insurers, independently of the Civil Liability Convention. The paper below, written in 2008, provides an introduction to the framework of international maritime regulation, with a summary of the main features of the SOLAS and MARPOL regimes, as well as certain other specialised conventions to prevent pollution. This material is an abridged version of Chapter 23 in Shipping and the Environment. The paper also comments on the European Directive on Criminal Sanctions for Ship-source Pollution, with an account of proceedings in the INTERTANKO case before the European Court of Justice. The following is an extract from a seminar paper I gave in 2013. It deals with questions which had arisen as to the circumstances in which removal of cargo residues might be affected by regulations in MARPOL Annex V concerning disposal of garbage. The links below are to the transcript of a talk I gave on this subject at a forum on Criminalisation in the Maritime Context held by the UK P&I Club in Athens in May 2005, together with the Club’s subsequent report of the forum. The main focus of the talk was the EU Directive on Criminal Sanctions for Ship-source Pollution, introduced as a political reaction to the Prestige incident. In May 2005 the Directive had not yet passed into law, but it did so a few months later despite protest and opposition from a broad range of shipping industry and seafaring bodies, as well as the main European flag states. My remarks summarised their main concerns, which remain as valid today as they were at the time.